A profusion of Queen Anne’s Lace in the August fields. 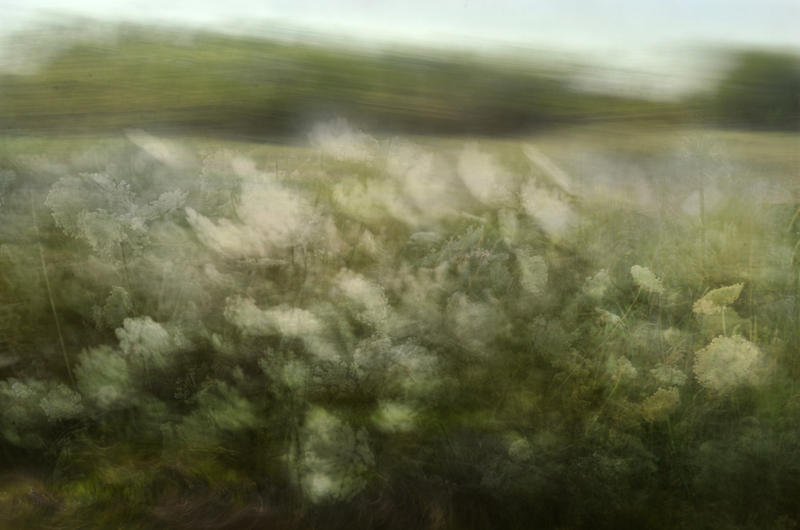 I think Meadowsweet is a bit different from Queen Anne’s Lace, but certainly the way these (somewhat abstracted) images look it could be easily confused. Theses do look like Meadowsweet! I stand corrected. I checked it out to see where my confusion was, and discovered that Meadowsweet is also known as Queen of the Meadow. I got my queens mixed up! s p e c t a c u l a r, as always! Great, Karen! We have Queen Anne’s Lace here in the dry fields near the coast. You’ve aptly captured their improbable sense of being. Gorgeous. I am grateful for every rainfall that takes place here when I think about the crushing drought happening in your state. I think it would be difficult to live in such a parched landscape, always thirsting.. It’s amazing how certain flora and fauna can manage to survive. Thank you, SummerLee. Always interesting to me how you manage to make art using different processes. The result is engaging even if the reason why escapes me. Just nice to look at, I suppose. I love carrot greens. They do go with Queen Anne’s lace!!! Nice wistful work. Love it!!!!! Blowing in the wind – beautiful! It’s a plant that adapts itself to diverse growing places – and lots of aesthetic treatments, too, right? I like both two versions. I guess, from original photo of the bloom to create those images, you are having an incredible sense of creativity. Beautiful ! Many thanks for dropping by my blog. Much appreciated. Diaphanous lace that would make Anne blush… my favorite ubiquitous prairie plant! I just love Queen Anne’s lace. These are waving in a divine breeze. Mmmm. Lovely, Karen, especially the first one. I’ve been reading Margaret Atwood’s Alias Grace and Queen Anne’s Lace was mentioned there. I’d never heard of it before and now here it is again. I like how these look like paintings. Very lovely! I love the ethereal nature of these photos. Beautiful. Like isolating a segment from an impressionist painting. Visual Ode to a Carrot Relative. The title is a little long, but it will have to do! Now I’m thinking of new words to Dylan’s Queen Jane….Won’t you come see me Queen Anne’s Lace. As beautiful and lush as always. The spirit that runs through your work is always with me lighting my way. Scuffed, scraped beauty. Like frozen sense impressions. Beautiful. Love these photos: light, airy, mysterious, out of the ordinary, beautiful, haunting. Beautiful photos…the first one feels as if I could lay down in the middle of this field and watch the world go by with a smile on the my face. 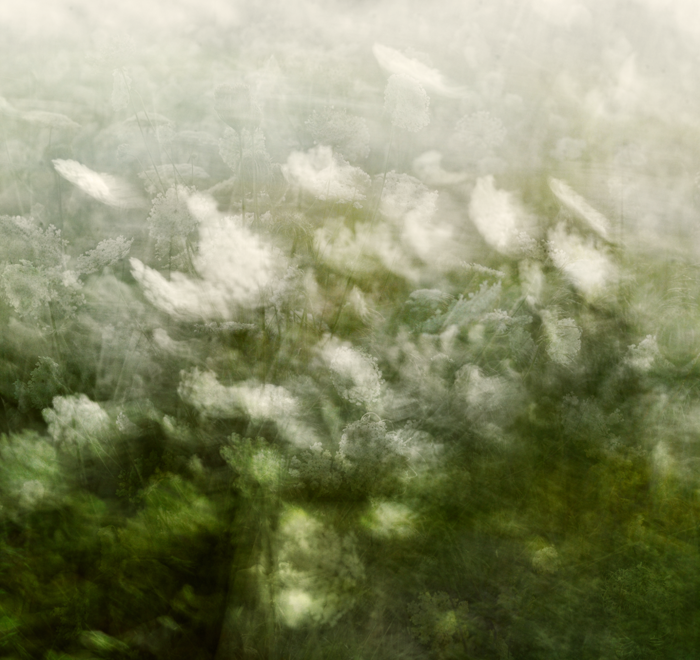 Movement and motion, but with this great underlying feeling of calm. Great work Karen.